I’d beat a path to its door if I were you. But hurry: the Jezzas and Daves of this world haven’t discovered it yet. Get in before they make it their own. Anyway, we were at the Fuzzy Duck and certainly no complaints whatsoever, even if Richard Craven has departed for new challenges. Giles Coren commented that the Portland Restaurant in London was a perfect restaurant [if not the perfect restaurant]. Well, our meal at the Fuzzy Duck could be described as a perfect meal. Good value wine, warm bread and soft flavourful olives to get you going. A perfectly portioned beetroot, spiced pear and goats cheese salad, bursting with flavour and the envy of the rest of the table, leading in to the main of pink rump of lamb with a sauce that needed to be licked off the plate. Runny chocolate fondant to finish. Perfect or what? 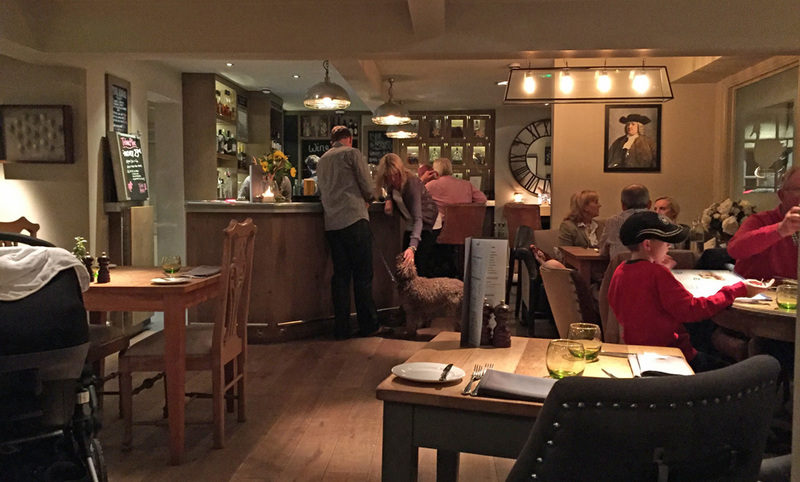 Despite the many accolades you can enjoy the menu anywhere in the pub, there’s no “special” dining room – it’s just welcoming and friendly, including babies and dogs, just as a good pub should be. Excellent food without formality – though that’s good sometimes too. 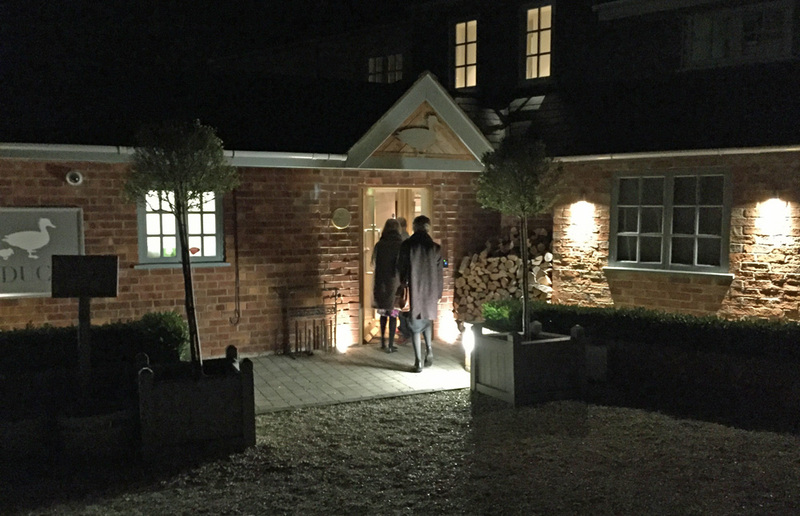 The pub is owned by the family behind the Bayliss & Harding shampoo, shower stuff etc and they’ve clearly thought of everything to make your overnight stay a success…including a guarantee of loaning you Hunter wellies in just your size.